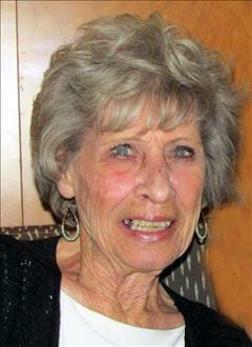 Frances “Deanie” O’Dean Bookout, 82, resident of Henryetta, passed away Tuesday, April 9, in Henryetta. Deanie was born July 20, 1936, in Vian to Emmett Hedrick and Ila May (Tacket) Hedrick. Deanie was a lifetime member of the Church of Christ in Henryetta. She was a graduate of Henryetta High School and obtained her degree in nursing, working for many years as a licensed practical nurse. Deanie and Gil opened the Henryetta Garden Center and later sold it, but in perfect Deanie fashion, she didn’t fully retire until 2016. Deanie had a strong work ethic and being still just wasn’t her style if there was anything needed done. Deanie was preceded in death by her parents; her husband, Gil Bookout; a brother, Billy Hedrick; brothers-in-law, Leon Bookout, Kenneth Bookout, Charles Bookout, and H.B. Bookout; and sisters-in-law, Lorene Lassiter, Mary Bookout, and Oweta. Deanie is survived by her son, Don Bookout; daughter, Shelley McKiernan; brother, Gene Hedrick and wife Hope; two sisters, Faye Reed and June Moore; grandchildren, Riley Duval, Max, and Brynna McKiernan; step-mother, Mary Hedrick of Dewar; as well as a host of friends and other relatives. Funeral services will be at 10:30 p.m. Thursday, April 11, at the Church of Christ with Rex Walcher officiating. Interment will follow in Westlawn Cemetery under the direction of Integrity Funeral Service. Pallbearers will be Wade Hedrick, Roger Pinkston, Max McKiernan, and Riley Duval.